Following the traditions of the Galactic Empire, the First Order has kept the TIE Fighter design in service, but has updated the craft to modern combat standards. 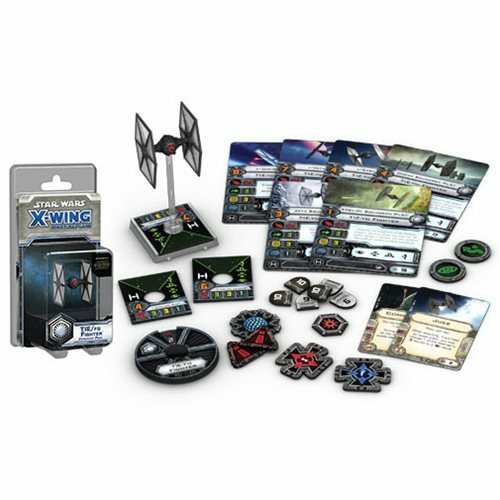 The Star Wars: X-Wing Game First Order TIE Fighter Expansion Pack allows you to reinforce your X-Wing squadron with one of these modern First Order TIE Fighters. In addition to its detailed, pre-painted First Order TIE Fighter miniature, you'll find 6 ship cards, a maneuver dial, and all the tokens you need to fly your TIE into battle!